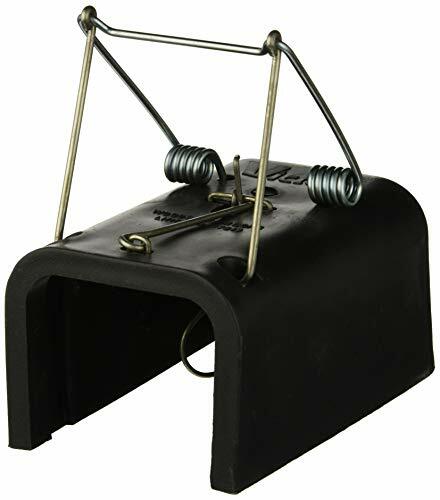 Looking for the best gopher traps in 2019? Then you're in the right place! 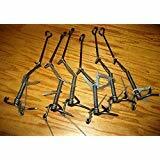 If you want to reliably get rid of gophers, you’ll definitely need traps, and we have the answers you’re looking for. This is a choker loop-style of gopher trap. Using two of them back-to-back in the gopher's tunnel works great. 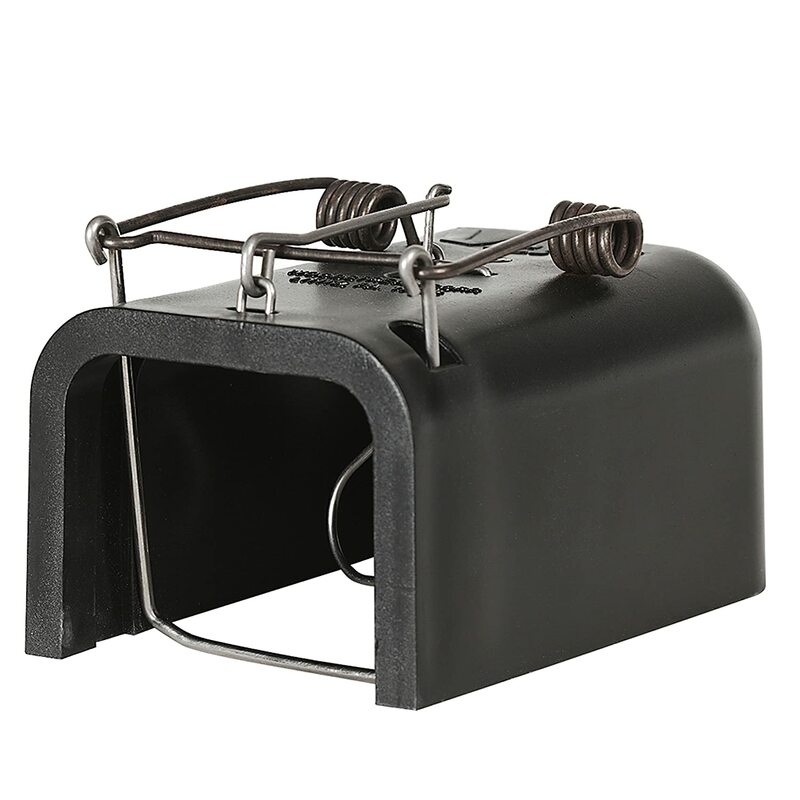 This is our top pick among gopher traps. We picked it because it works so effectively. But that's true if and only if you follow the directions. Wait a couple of hours then come back. If you see the spring sticking up through the dirt, you caught one. Remover your dead gopher and go on to the next mound. How do gopher traps work? Do Gopher Traps Actually Work? How to pick the best one for your gopher problem? 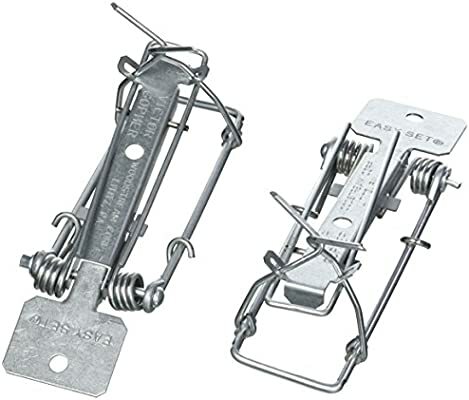 Gopher traps are typically spring-loaded traps, similar in many respects to a mouse trap. Almost all of them are intended to kill the gopher rather than capture them alive. Live capture traps rely on bait to entice the gopher to enter the cage then trip it when the animal attempts to eat or remove the bait. These have a low success rate. Traps that kill the gopher use a hammer, a spring, a catch, an arm or bar that holds the hammer, and a platform to hold all the pieces together. Once the catch is tripped, the arm (or bar) releases the hammer which uses spring-powered force to snap shut on the gopher. The hammer can choke the gopher, pierce them with an awl, or crush them. Death is nearly instantaneous. Read Also: Do repellents work for gopher problems? 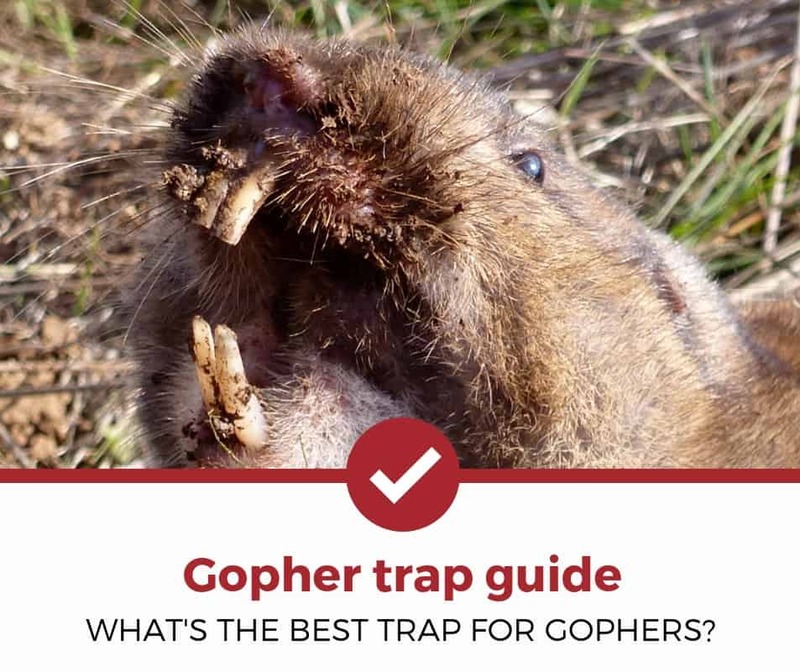 How Do You Set Gopher Traps? Locate a fresh gopher mound. The dirt will usually be darker and looser than the dirt around an older mound. If there are fresh tracks on an older mound, it means the gopher is still using it. Put a long stick into the tunnel to determine which direction it is going in. About 1-2 feet in that direction, dig down until you locate the tunnel. Rub fresh dirt inside and outside the traps. Leave some dirt inside the traps and set them. Put them in the tunnel back-to-back. Cover up all the holes with dirt so no light shines down into the tunnel. If the gopher sees light he'll know something is wrong and will back away. What do gopher mounds look like? Gopher mounds resemble small hills of fresh dirt that can appear in your yard in less than 20 minutes. They normally have a horseshoe-type of shape to them. The open side of the horseshoe is generally the direction the tunnel goes in. Spring Loaded vs Reusable Trap? Don't be fooled by marketing hype. 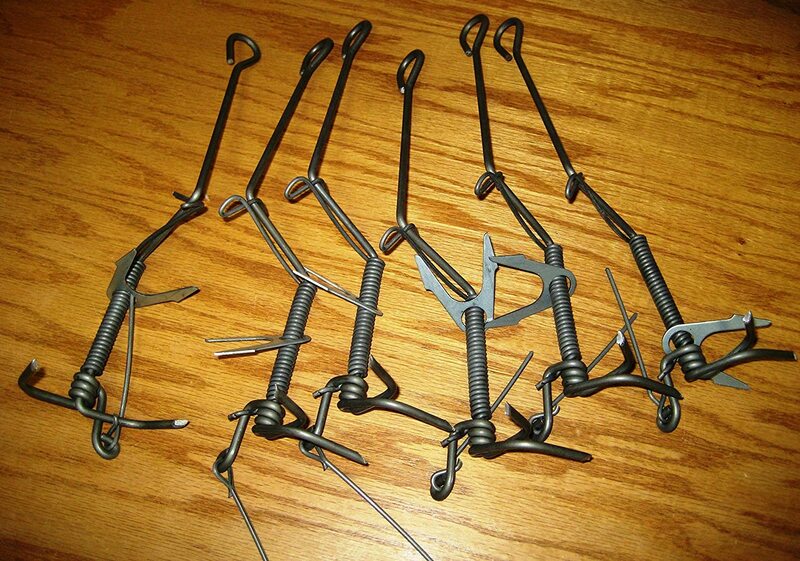 All spring-loaded traps are, by definition, reusable. Some manufacturers will include the “reusable” verbiage in the name of their trap but it's like saying a flying airplane. According to the University of Florida, trapping is the most effective method of controlling and/or killing gophers. This is actually one time where the opinions of the eggheads agree without our in-the-field experience. In contrast, baits aren’t as efficient because they rely on the gophers approaching and eating the bait. Sometimes they do and sometimes they don't. Even if they eat the bait and die, how will you ever know it if they die underground? Over a period of weeks, you might notice the number of mounds decreasing, but that's the only way. Baiting works, but traps are much easier. But again traps work well only if you follow the directions carefully and completely. Also be sure to rub plenty of dirt inside and outside the traps so they'll smell and feel like the rest of the gopher's tunnel. All the best trappers will tell you to leave a layer of dirt inside the trap for exactly that reason. Read More: What are the best baits to control gophers? The best trap should be easy to set, easy to remove the gopher from, and easy to reset. A trap shouldn't require more than five minutes to place and set. It should reliably catch gophers without having to “monkey around” with the settings or setup. The Black Box is the best, in part, because it requires the least amount of effort from you, combined with the most consistent results in killing gophers. Follow the directions and you'll kill lots of gophers! 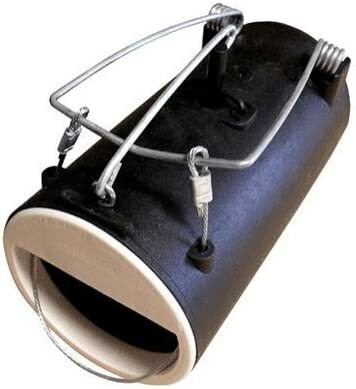 This small, silvery trap fits inside the tunnel without the need for any digging. Simply set the trap then slide it into the tunnel. The narrow base is what makes this possible. If the tunnel branches, put one in each branch. The main problem is it's too sensitive. You can set it off trying to put it in place. Too sensitive and takes too many attempts to place it. This is a choke-type of a trap. When the gopher trips it, his head is caught in the tongs but unless they hit him just right, it doesn't kill them. This means you have to anchor the trap to a fence post or stake in the ground to keep the gopher from running off with your trap. Once you pull them out you'll have to bludgeon, shoot, behead, or stab them to death. It can get pretty gory. This trap is definitely not for the faint of heart. The tongs can also remain loose enough for some smaller gophers to squirm out of, and you'll never catch that gopher in this trap again. These traps have to be cleaned with soap and water after each use. Dry them completely because they definitely have issues with rust. The concept for this trap looks good on paper but its track record in the field is less impressive. The opening seems to be too small. As gophers move through their tunnels they'll push dirt ahead of them. The dirt gets pushed into the trap and plugs it. Then the gopher just burrows around it and goes about his business. The spring is weaker than it should be. Half the time when it catches a gopher it doesn't kill them. Then you're back to the blood-and-gore routine. The other half of the time they're able to squirm free or drag the trap away to die deep down in their tunnel where you can't find them, or your trap. Killing gophers is one of the few times we'll urge you to do it yourself. It's cheaper and easier than paying a professional pest control company. As long as you get the right trap, and faithfully follow the directions, you'll be able to kill the gophers just as quickly and easily as the professionals – and for a lot less money. 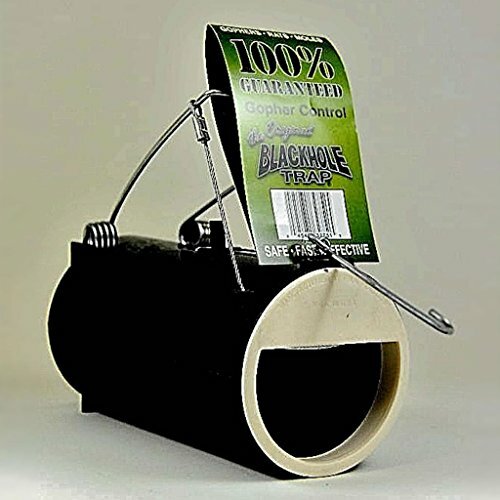 Our top pick for this line of traps is the Victor Black Box Gopher Trap. It reliably and consistently does everything you need it to. But our 2nd place goes to Victor Easy Set Gopher Trap. It's almost as good as the Black Box, and you don't have to do any digging to use it.